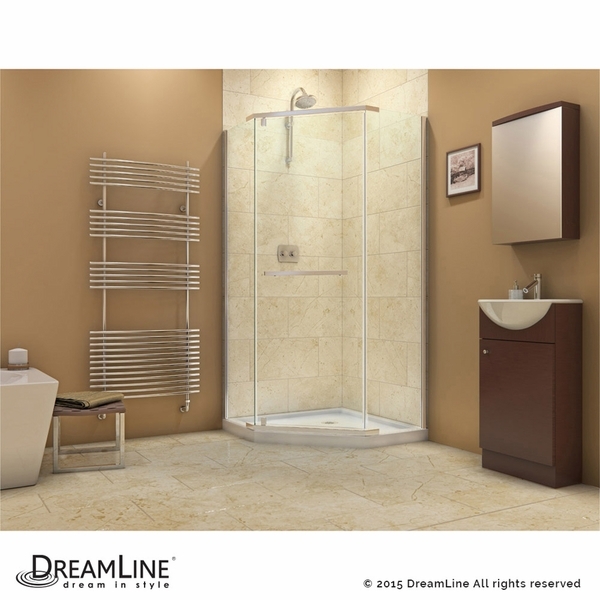 Change the look of your whole bathroom with the Prism 36 1/8" by 36 1/8" Frameless Pivot Shower Enclosure from DreamLine. The Prism features tempered glass and aluminum, a limited 5 year manufacturer warranty, and a price that makes this stunner a real bargain. 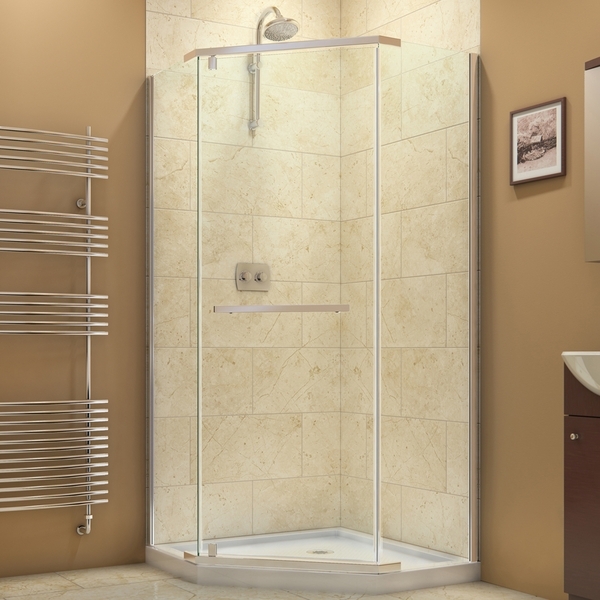 Its neo-angle design works perfectly as a corner unit, saving space, and beautifying your bathroom with its modern look. 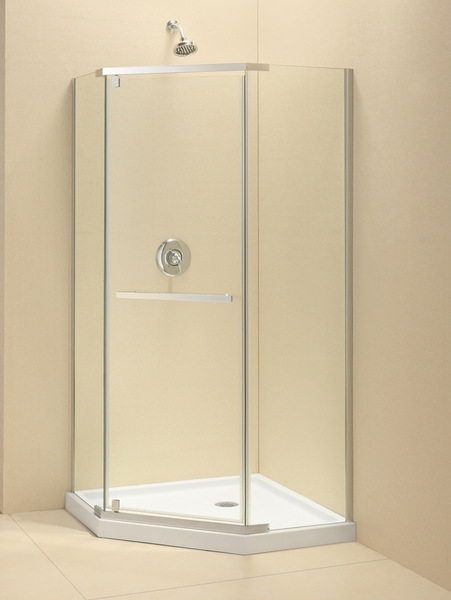 The ease of use in the Prism's pivoting door is unsurpassed by any other shower enclosure, and it includes a full length magnetic door latch for a leak-proof shower experience. 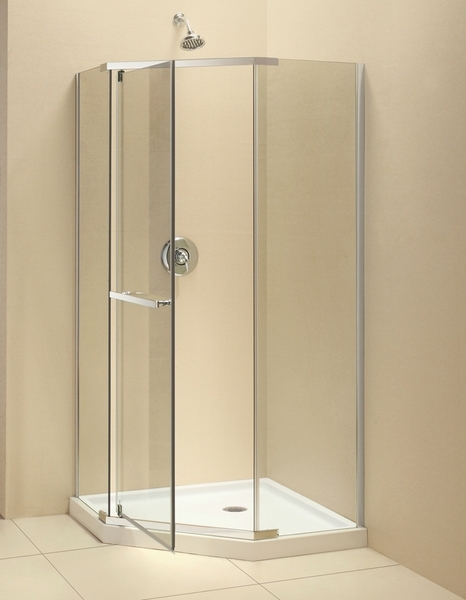 Designed to be installed against finished walls and not studs, you can have your Prism shower enclosure up and running in just a day! 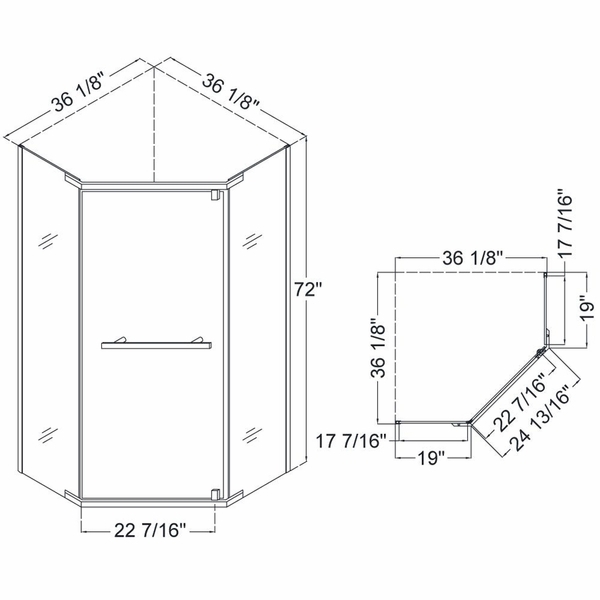 Door walk-in: 22 7/16 in.